Before receiving this product, in my Boudoir Prive box a few months ago, I'd never even heard of Sachajuan and I'm not going to deny my complete inability to pronounce the brand name. yup, it's firmly in my list of unpronounceable brand names, alongside L'Occitane and Illamasqua! Gosh, they're also brand names that I have to really pay attention when attempting to spell them too! As far as I can tell, the bottle is very similar to the ones that they sell the product in ordinarily, and I'm not really a huge fan. I like the simplicity of the label, and find something oddly endearing about that. But the actual bottle is...well, it looks like a medicine bottle doesn't it? And I don't mean the nice Tixylix etc type medicine that you had as a kid that tasted yummy. I mean, the type of medicine that may work wonders at eradicating your coughs and sniffles, but jesus does it taste vile! I really can not shake that thought out of my head either, which is a bit of a shame. Just ditch the yucky coloured bottle, and we'll get along fine! With regards to the products lid, I'm in two minds about it. I like the fact that it's different to other products aesthetically, but I had a few issues getting the product out. 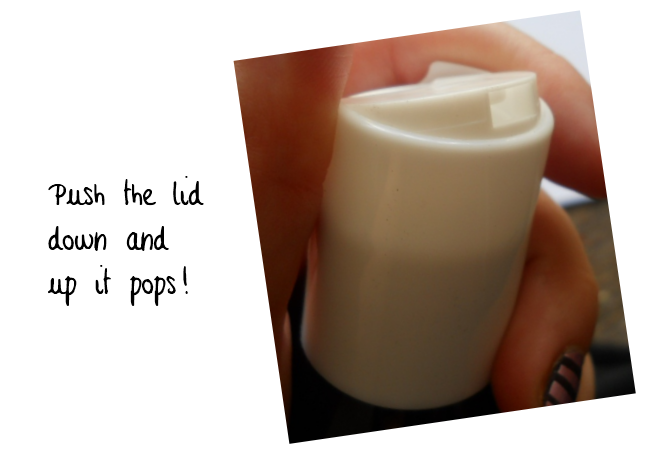 I don't necessarily think that this is down to the lid, but more down to the fact that the plastic of the bottle is a little too rigid, so when the product doesn't come out (and it's important to remember that since this is a conditioner, the product is quite a thick consistency), the instinct is to squeeze the bottle, but that doesn't really work. And I don't think the design of the lid helps it very much. My solution has been to keep the product upside down all the time, but it's not really practical because obviously that makes it wobbly! I've never been a fan of the smell of shampoos and conditioners. from a lifetime of using commercial high street type brands, I hate how overpowering and chemically that they all smell. Even the ones that claim to smell "natural" are just over-perfumed (in my opinion) to probably hide the chemicals, and I just hate it. But, I've made no secret that I'm not a fan of strong smelling products anyway. So, you can imagine my delight at how light the fragrance is of this conditioner. Of course it still contains a lot of chemicals, unfortunately most products do, but at least the smell isn't overpowering on my little nose. And you know how some products just have that smell of being "expensive" or, I don't know a little better than other brands, well I got that feeling from the smell of this. I don't know if it's the smell of quality, because I don't think I'd have a clue what that smelt like, and I'm certainly no expert. I just think that some products have this smell that indicates they cost more money. Maybe I'm crackers! As you can probably imagine, you use this exactly the same as you would with a normal conditioner. Wash your hair, as normal and then apply this product. The only difference is that you have to leave it in your hair for between 5 to 10 minutes. For me, this is a really long time, and I get bored easily, so I very often don't make the five minutes. But, I don't think that it really matters, because it still has fab results. Ordinarily, I'd use Aussie's Intensive Conditioner once a week, but I decided to replace it with this one, and I've been using Sachajuan roughly every one to two weeks to give my hair a treat every once in a while. I only apply it to the lengths of my hair, because the roots get oily and don't really need it because I don't straighten my roots generally so the lengths are probably a lot more damaged and in need of some well-deserved TLC. Despite keeping the product on my hair for less than five minutes, it always leaves my hair feeling amazingly soft, and shiny which is important to me. My hair gets quite lanky at times, and I've noticed that this makes my hair a little more fluffy which of course I love. At £10 for the size that I got (100ml, which to be fair isn't that big at all) and £22 for 250ml this is not a cheap product. But, noting that I can't actually remember when exactly I received this product in my Boudoir Prive box, it's lasted me a fair amount of time using it one a week/fortnight. The most obvious place to buy it is of course through the Boudoir Prive/Jolie Box website, where prices are as I specified above. 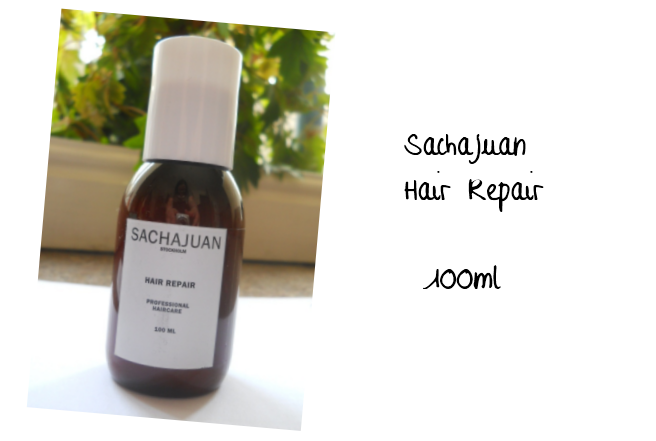 Has anyone else tried a Sachajuan product? PS. 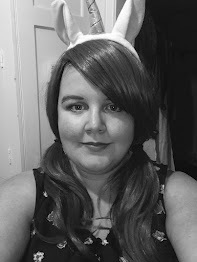 You might have noticed that I've revamped the way that my blog posts look, what do you think? Do you like it, or do you think it looks a bit tacky? The bottles are brown to keep light from penetrating and potentially weakening the actives that make this a great product. The bottles are also designed to be reminiscent of medicine bottles.